Daniel Pearl’s talent for revealing the human heart in his Wall Street Journal articles was a key inspiration for Stories From My Favorite Planet. These two movements take us from the tragic to the comic absurd. In “Search for mercy ends in quiet tears in Kosovo,” Pearl writes of an old friendship between a Serbian and Albanian is torn apart by the civil war. I set this as a lament for solo violin in a quasi East European style. In contrast, I chose a comic virtuosic tango to mirror Pearl’s classic story “The finder fiddles while loser sues” that investigates a stolen Stradivarius whose new owner won’t give it up—because it lets her play in tune! 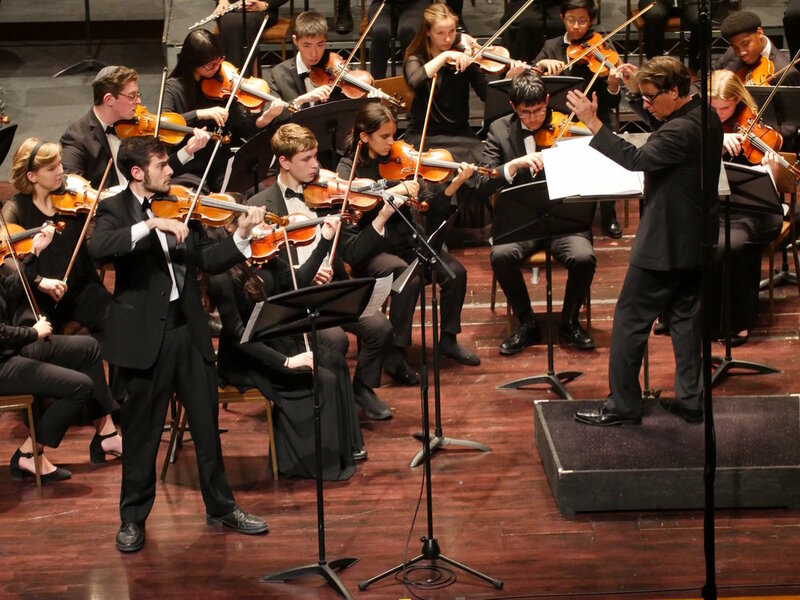 With sensitive accompaniment from the Los Angeles Youth Orchestra, alum violinist Max Karmazyn gave stirring renditions of both pieces— Tears of Kosovo and the Missing Violin Tango—in the recent concert at Ambassador Auditorium, Pasadena November 19, 2018.